END CLIMATE SILENCE: THE MOST IMPORTANT THING YOU CAN DO TO FIGHT GLOBAL WARMING | "Global Possibilities"
Let’s learn from the LGBT movement. People often ask me what is the most important thing they can personally do bring about climate action. 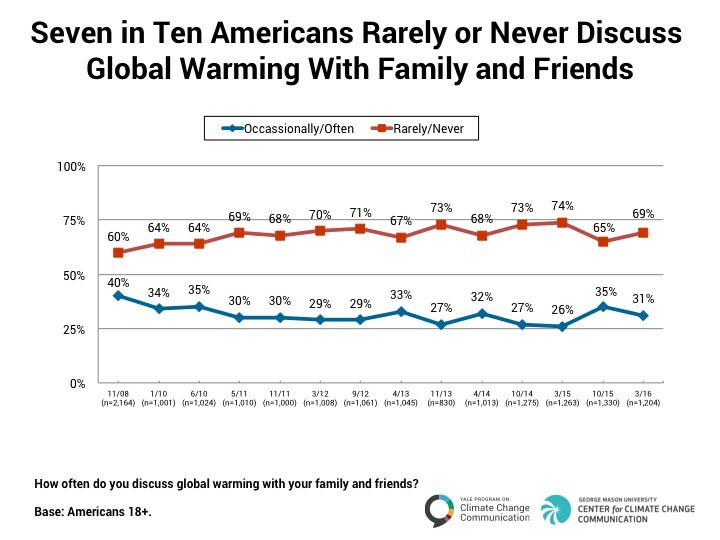 The answer is both simple and hard: Talk about climate change and its solutions with everyone you know a lot more than you are doing now. The need to have more conversations about an uncomfortable subject is, I believe, one of two crucial messaging lessons the climate movement can learn from the LGBT community. The other is to focus on the immorality of inaction. I think it’s even worse than that. Humans use many shortcuts to deal with the overwhelming amount of information we must process (see Nobelist Daniel Kahneman’s book Thinking, Fast and Slow). One obvious short-cut: If few people around you are talking about a subject then it is unlikely to be an existential threat requiring urgent action. And that is compounded by the media’s long-standing under-reporting and mis-reporting. 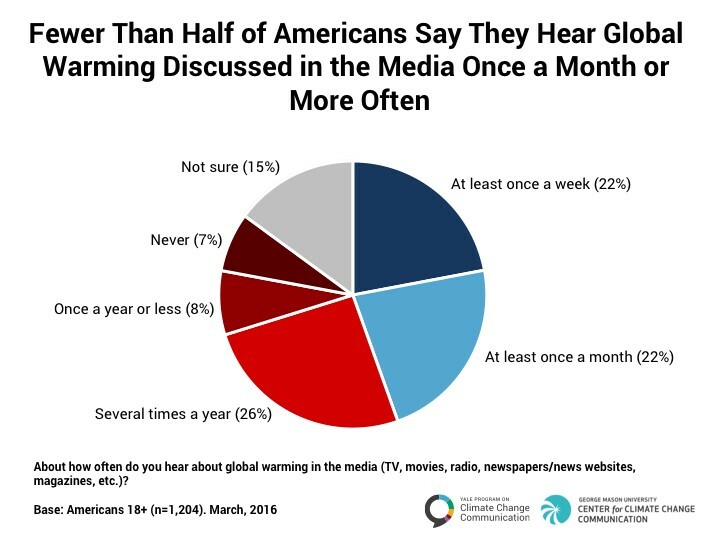 The Yale/GMU research confirms the media’s climate silence: Under one in four Americans (just 22 percent) hear about climate change in the media — TV, movies, radio, print and news websites — “at least once a week.” Most rarely do. Politicians by and large don’t bring up subjects people aren’t talking about, and the media isn’t reporting on, which just reinforces the spiral of silence. The kind of climate action we now need requires that we break this spiral, much the same way the LGBT community broke theirs. A decade ago, many progressive politicians ran away from LGBT rights, and some even credit John Kerry’s 2004 loss to the issue. More than a decade later, we’ve seen a sharp swing in public (and political) support for LGBT rights. Many factors contributed to that shift, but winning communications strategy and tactics were key. A central tactic was to get as many people as possible to start talking about LGBT issues. I’m not saying climate change and marriage equality are exact analogies since they aren’t — but turning the issue around did require people to talk about an uncomfortable subject because it mattered to them personally. So let’s end climate silence now. One more thing: Talk isn’t enough. You have to have the right strategy, the right message, as I’ve written. They did it — and this is the lesson that the gay revolution holds for any progressive movement — not by asking for “tolerance.” They didn’t ask people to accept gay marriage by holding their moral noses. Rather, they set out to change change people’s minds about what is moral. 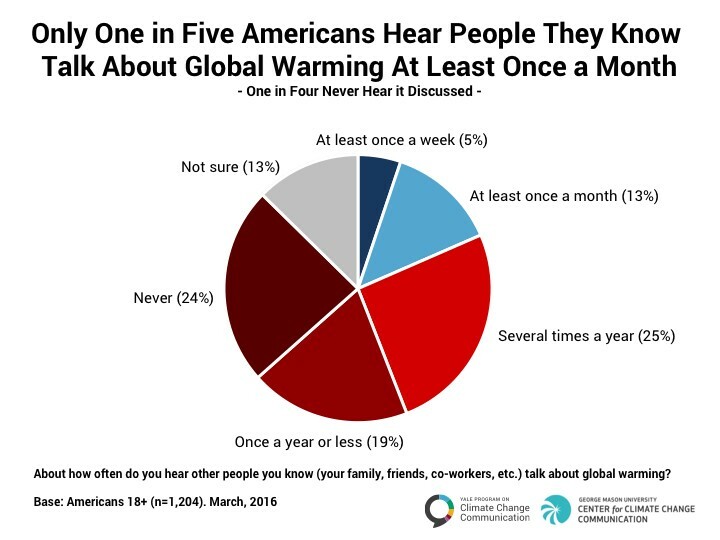 So if you want to change the climate conversation, then help start the conversation. Yes, it’s important to reduce your own carbon footprint. And it’s vital to vote for candidates who support climate action and against candidates who don’t. But before, during, and after you do those things, you must talk about them to friends, family, and even total strangers. Until climate silence ends, climate science and solutions will not win the day.